The combination of an icy cream with the delicate scent of almonds, honey and lavender speaks to the summer season. 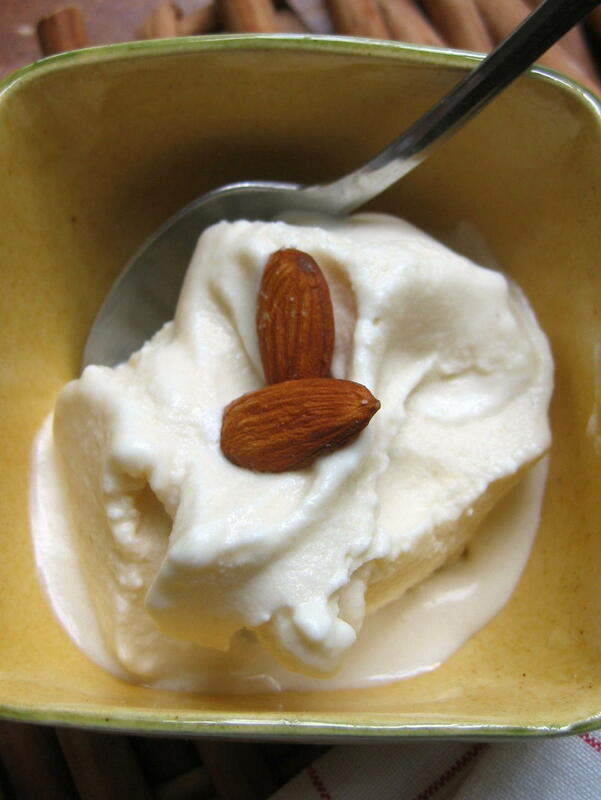 Honey almond ice cream has a mellow sweetness that speaks to the close relationship between bees and almond growing. Almonds require bees for pollination. In the Mediterranean where almond trees once thrived, the bees might feed on the fragrant nectar of lavender after the almond trees bloom. This recipe is simple to make because there is no egg custard base. The almond paste helps give it the creaminess associated with custard-style ice creams although it does have a lingering texture from the ground almonds in the paste. If you can’t find lavender honey, use a light, clover-type honey and add a small amount of lavender blossoms to the mixture. Strain the mixture through a fine sieve before chilling the mixture. Or you may omit the lavender entirely. Serve this frozen treat alone, with a crisp cookie such as an almond macaroon or atop a bowl of fresh berries. Place the almond paste and the honey in the bowl of a mixer fitted with the paddle. Beat for about one minute until the almond paste is softened by the honey. Scrape the bowl then beat for another minute or two until the mixture is smooth. Stir in the cream, milk and lavender blossoms, if using. Chill the almond cream mixture overnight if possible. 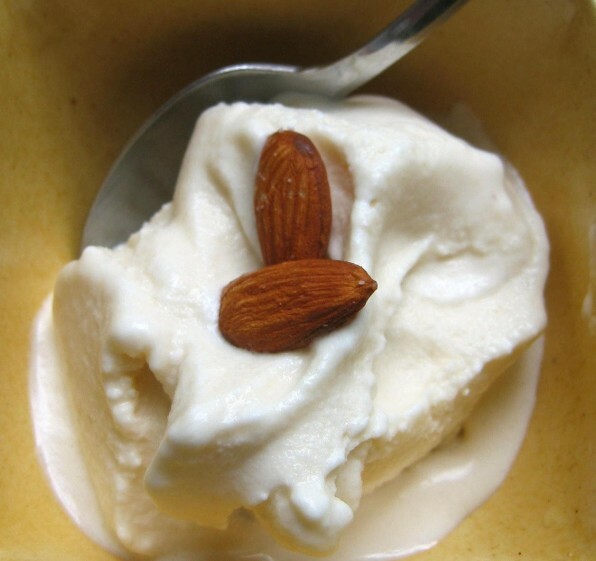 Stir the almond cream mixture then freeze it according to your ice cream machine instructions. The frozen almond ice cream will keep for a week when stored in an airtight container in the freezer.